Have you ever wished you could invite your favorite artist out to dinner? Maybe pick the brain of a curator over a cup of coffee? What insights would you gain from a one-on-one conversation with an artist that has been through it all and is here to give you honest advice? With more podcasts being published than ever, we now have direct access to candid conversations with established artists, gallerist and curators. These art-focused podcasts can be a blessing to artists looking to further their education, gain insights into their career or just get some entertainment from insiders who get what you are going through as an artist. However, with so many choices, it can be hard to know where to start. 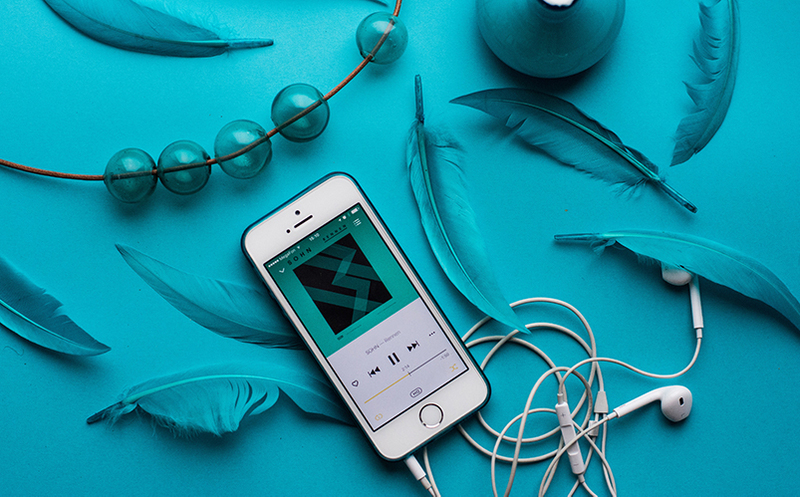 That's why we rounded up our favorite 30 podcasts for artists. The next time you are working late hours in the studio, tune into one of these shows to sit in on conversations between art moguls, emerging artists, art historian and more. These captivating, informative, honest, slightly strange, and even downright hilarious podcasts are the perfect studio companion on long days. All you have to do is hit play. What you can expect: Get ready for amazingly candid conversations about business practices, time management, financial planning, and how artists navigate the unique challenges of making a living, creatively. Beyond the Studios is a podcast that focuses on the behind-the-scenes work of visual artists—how they're supporting and sustaining themselves and their creative work. And Season 2 just dropped! Listen here. What we love about it: The open and honest stories. After hearing them, artists will feel more empowered and become better equipped to live out their own creative life's work. What you can expect: If you’re interested in unconventional ways to selling your art online, artist Leslie Saeta’s got you covered. Leslie’s podcast offers informed tips on the business side of art from an experienced painter with 30 years in the marketing industry as well. Her non-traditional approach to marketing her art online has created a desire to share her art marketing success with others. What we love about it: Leslie. She embodies the spirit of the artistic community and the philosophy of artists helping other artists. What you can expect: Art history is full of fascinating stories—and host Jennifer Dasal wants to share the unexpected, the slightly odd, and the strangely wonderful to art lovers and novices alike. Jennifer brings art history’s most fascinating questions to light: Did Van Gogh actually commit suicide? Was a British painter actually Jack the Ripper? And how did the rivalry between Michelangelo and Raphael produce one of the best works of art EVER? What we love about it: ArtCurious is art history for all of us. This isn't your basic college lecture, droning on about archaic art terminology or the importance of linear perspective. Art history is MUCH juicier than we realize thanks to Jennifer. What you can expect: Itching to get a better understanding of the art market? Whether it’s interviews with top auction house CEOs or founders of online art marketplaces, industry veterans share success stories and the best places to sell your art. Sound good? We think so! What we love about it: From art market analysis to emerging art markets, ArtTactic podcasts discuss all your pressing art market questions. What you can expect: Alyson Stanfield is a boss at all things art business! With over 20 years experience in the space, her latest episodes offer practical tips for artists trying to succeed—like setting up multiple income streams and creating more opportunities for yourself. What we love about it: If you’re looking for someone who’s been there, done that, Alyson’s your gal. This podcast supplements Alyson’s mega-successful art business coaching and blog—formerly Art Biz Coach—and her older but still relevant podcast platform Art Marketing Action. What we love about it: Get to know successful artists (A.K.A. regular people with hilarious stories) before they’re in the art history books—and find some relief in your own journey along the way. What you can expect: The Thriving Artist podcast (much like its creator, the ever fantastic Clark Hulings Fund for Visual Artists!) is all about providing business insight for working artists. Relish in insightful interviews with artists, collectors, gallerists, and other leading experts on the idea of visual art as a business. What we love about it: Excellent art business advice, but with an informal, easily digestible style. What you can expect: Learn from artists who have been there before. Expose yourself to new ideas that inspire you to push your studio work farther and build your business. Learn to analyze other people’s marketing solutions and adapt them to suit you. What we love about it: These podcasts are a nice mix of personal stories from a diverse group of artists and tactical advice on the business of art. What you can expect: It’s been on our favorites list for a while now, so we had to include it in our Best of 2019 list! Just like its name, Art NXT Level aims to help artists turn their careers up a notch. Founded by artist and entrepreneur Sergio Gomez and psychologist and gallerist Yanina Gomez, these enlightening podcasts are perfect to listen to while you work in the studio. What we love about it: Check out artists’ insights that are a nice mix of personal stories and astute advice for your dream career as an artist. What you can expect: Weekly inspiring interviews and practical advice on how to build your business with your art, your way, with Alexis Fedor. Episodes release every Friday, with a link for real time Q&A’s on Alexis’ Facebook page. What we love about it: Named a champion for artists by her listeners, Alexis asks the questions that are on the minds of her listeners, brings on the right people for the job, and does it all with a positive spin! What you can expect: The Modern Art Notes Podcast is a weekly, hour-long interview program featuring artists, historians, authors, curators and conservators, where you can get a taste of all things contemporary modern art! The program has published new episodes each Thursday since 2011. What we love about it: While the program is typically studio-based, it has taped live-audience episodes at nearly a dozen American art museums, such as the J. Paul Getty Museum, the Baltimore Museum of Art and the Nasher Sculpture Center. What you can expect: Interested in hearing about the career paths of other artists? Want to know their keys for success? PleinAir Magazine publisher Eric Rhoads delves into the world of plein air artists and their experiences. What we love about it: Any type of artist can learn what helped others launch their careers, mistakes beginners can make, what to improve on, and more. 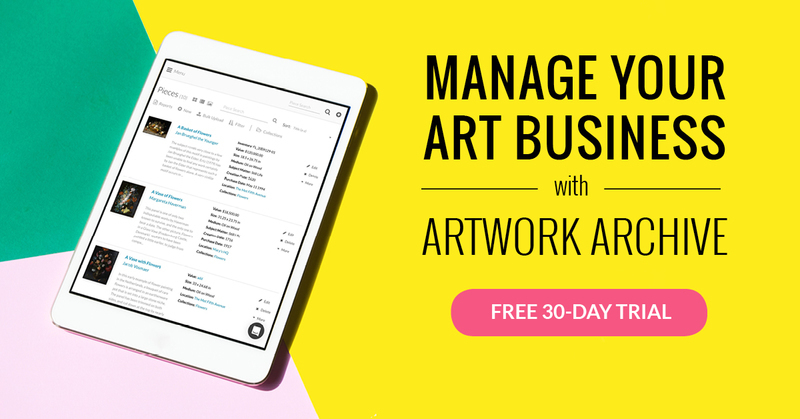 You’ll learn what works, so you can manage your art career in the best way possible. What you can expect: Delve deep into the creative mind during this podcast hosted by contemporary painters Tony Curanaj and Edward Minoff. During interviews with artists of all kinds, Suggested Donation reveals common ground that can unite all artists through a devotion to their craft. What we love about it: All artists handle the creative process differently. Get a great peek into the minds of different artists and their unique philosophies. What you can expect: Andy J. Miller asks this question of his listeners: “Do you want to know how to make a good living, making great art?” If the answer is yes, then check out this podcast featuring weekly episodes to inspire your art career. You’ll hear wisdom ranging from social media tips and pricing your work to designing your career and how to stop underselling yourself. 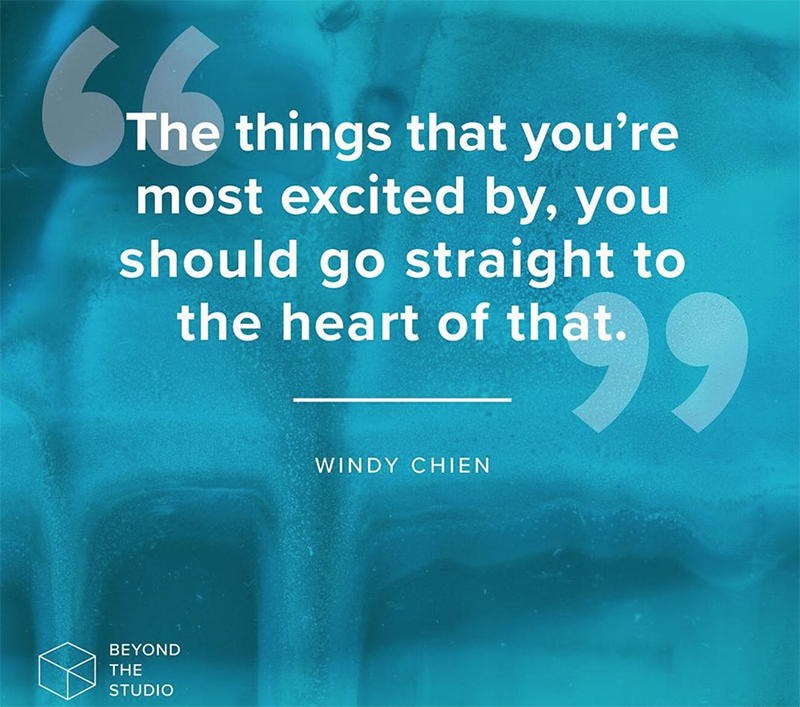 What we love about it: Whatever creative field your pursuing, Andy is here to help you find your creative gift, develop it, and connect it to the audience that needs it most. What you can expect: Listen as creator David Sherry discusses the nitty-gritty details and nuance of creating great work with the web’s favorite artists and creators. What we love about it: no agenda. is a look under the hood of the creative mind. Episodes examine and deconstruct creative blocks and anxiety, and challenge your creative output. What you can expect: With over 100 free episodes, Brian Alfred sits down with artists and musicians in galleries and their studios to discuss their process and inspiration in their creative lives. What you can expect: Host Brainard Carey interviews artists around the world for Yale University Radio. His mission? To empower all artists to do what they love and earn a living—without compromising anything. What we love about it: The variety! There’s over 850 interviews in the archive, with topics in dozens of creative fields. What you can expect: A podcast ostensibly about the world of contemporary art, featuring conversations with artists, collectors, curators, writers, dealers, and gallerists—as well as the odd miscellaneous art world individual. What we love about it: The evolution of the show has gone from a more straight “interview” type of dynamic to ideally something far less predictable. As host Michael Shaw believes, too, the best episodes have an element of performance to them. What you can expect: A deep dive into the origins of everything around you—zoos, city design, elevators—everything! Ever wonder how inflatable men came to be regular fixtures at used car lots? Curious about the origin of the fortune cookie? Want to know why Sigmund Freud opted for a couch over an armchair? Host and creator Roman Mars wants these often “invisible” stories to have the spotlight. What we love about it: As an artist, inspiration hits in a variety of ways. 99% Invisible explores all the things around us that we don't think about, things that can inspire your artwork. Plus, as a designer of art or objects, it's a great place to think about how your work might affect the greater cultural landscape. What you can expect: A weekly collection of news, developments, and stirrings in the art world with host Hrag Vartanian, co-founder and editor-in-chief of Hyperallergic. Enjoy great conversations centered around a particular issue, exhibition or event in the current art landscape. What we love about it: A great way to catch up on news and debates related to contemporary art, given with thoughtful questions and important historical context. What you can expect: A Piece of Work, a podcast hosted by Broad City's Abbi Jacobson, is everything you wanted to know about modern and contemporary art but were afraid to ask. In this 10-episode podcast, Abbi looks for answers in lively conversations with curators, artists, and some friends, including Hannibal Buress, Tavi Gevinson, RuPaul, and Questlove. What we love about it: A bicycle wheel attached to a stool; a giant canvas splattered with paint; dozens of soup cans… for many museum visitors, works like these prompt a ton of questions. Abbi gets these questions answered in a hilarious and entertaining fashion. What you can expect: A new kind of art podcast, join artist BUA and art historian Lizy as they debate topical artworld happenings, bringing their unique—often contradictory—perspectives to the conversation. What we love about it: Engaging, informed, accessible, and raw. 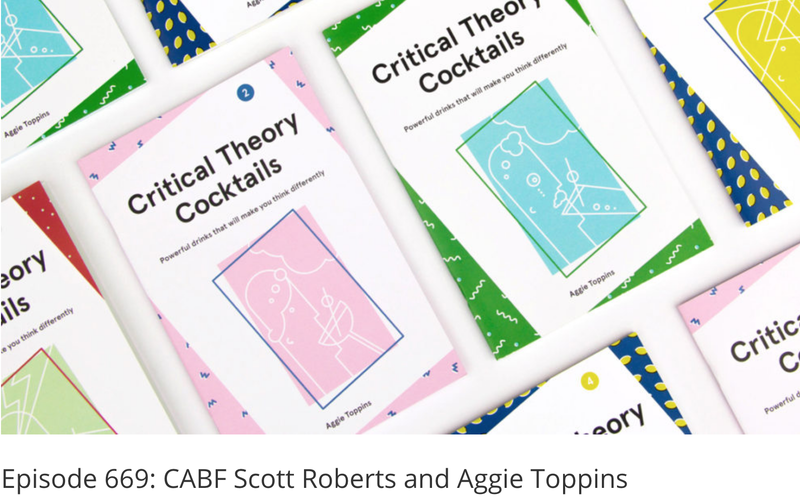 What you can expect: Four fresh Masters drink wine and discuss all things visual culture. What we love about it: Episodes include discussion and critical analysis of art historical topics fueled by alcohol and quick art history facts minus the expletives. What you can expect: Bad at Sports can be tricky to describe: it acts as a curious investigator, an archivist, oral historian, and occasionally as a provocateur. They produce content that lies somewhere on the Venn diagram of art, journalism, media, intellectualism, and all the naughty bits. What we love about it: B@S features artists and art world-ers talking about art and the community that makes, reviews and participates in it. What you can expect: Man, art history. It's so snooty. And boring. Right? Or maybe… wrong? As it turns out, art history is as interesting and accessible as its stories. Each episode of The Lonely Palette, creator and host Tamar Avishai picks an object du jour, interviews unsuspecting passers-by in front of it, and then dives deeply into the movement, the social context, the anecdotes, and anything and everything else that will make it as exciting to you as it is to her. What we love about it: A podcast that returns art history to the masses, one painting at a time. An episode to get you started: Episode 0: Art! What is it Good For? What we love about it: This podcast is dedicated to breaking down the barriers we tend to set up in our own minds, so current and future creatives are inspired to have the courage to explore, experiment, and live out their dreams. An episode to get you started: #110: Nick Runge - "Finding Balance Through Abstraction"
What you can expect: A podcast on all things sculpting! Get ready for art history, interviews, discussions on techniques and practices, tools and materials, and much more—hosted by Jason Arkles, a practicing sculptor living and working in Florence, Italy. What we love about it: Jason’s tagline: “Where all the great sculptors are dead, and I don’t feel well myself.” Finally, a podcast dedicated to strengthening the ties between today’s figurative sculptors and the sculptors of ages past. Because sculptural appreciation and knowledge should never be lost. An episode to get you started: Episode 75 - Why Greece? What you can expect: Raw Material is an arts and culture podcast from the San Francisco Museum of Modern Art. Along the way they bring you voices of artists and thinkers from around the globe who offer surprising perspectives on the world through their work. What we love about it: Each season, they partner with a different “podcaster-in-residence” and choose a unique theme, so contemporary art is explored through a whole new lens and listeners like us are never bored. What you can expect: Cory Huff is committed to dispelling the myth of the starving artist and has excellent podcasts on the subject. He features interviews with successful artists who impart valuable advice on the business of art. What we love about it: Cory has made a huge name for himself in the world of art business coaching, so you know his advice is going to be on point. Listen and learn about every art business topic under the sun, to ensure you can achieve your desired level of success. What you can expect: Want to find an audience online for your creative work? Hashtag Authentic explores the secrets to online success for dreamers, makers and creatives. Tune in every Wednesday for analysis and interviews with trailblazing creatives, for an insider's view of all things Instagram, blogging, social media and beyond. What we love about it: With practical tips and inspiring stories, host Sara Tasker guides you through the lessons and strategies she used to grow her 300k+ audience and six-figure business online. Hashtag Authentic will equip you for the online world, dose you up on inspiration & information, and help you find your online tribe. Time is precious when there is so much to accomplish. You have art to create, archive, promote, and sell, all while trying to balance your work and personal life. So where do you fit in time to learn and improve? One podcast at a time. What are your favorite art podcasts? Share with us in the comments below. Confused buyers. No recognition. Dwindling art sales. Keep this from happening to your art business by registering a trademark. Have you tried using YouTube to sell more art? We have 9 tips to help you start making videos. Teresa Haag’s art is all about city chatter and the chatter about her work continues to grow. Learn how she’s created the buzz.